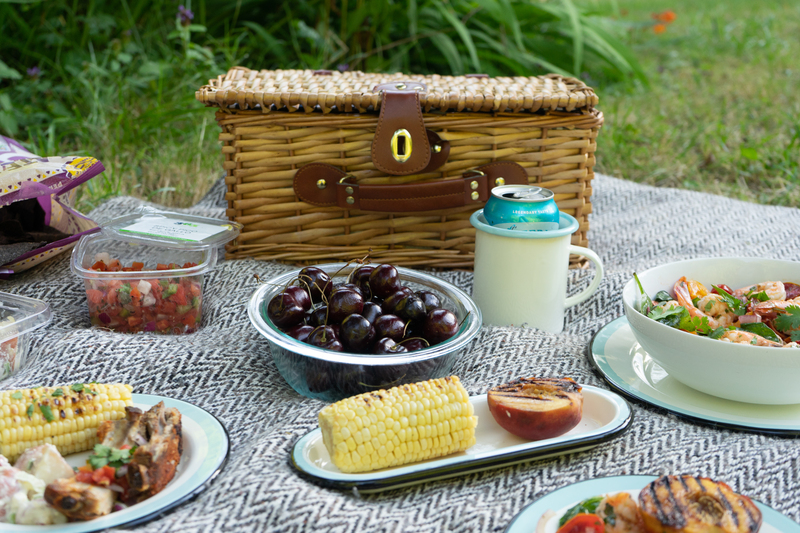 Picnics are one of my favorite ways to spend time with friends when the weather warms up. 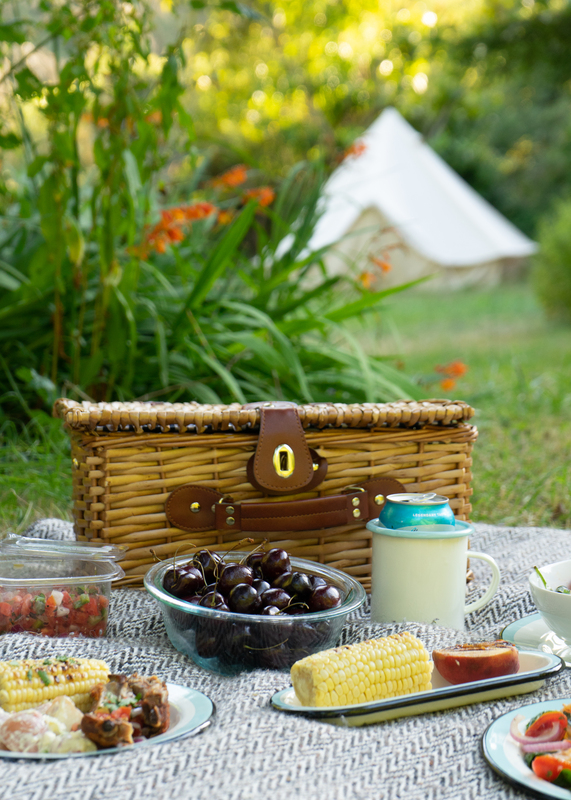 As a lover of the outdoors, dining al fresco makes sharing a meal all the more enjoyable. 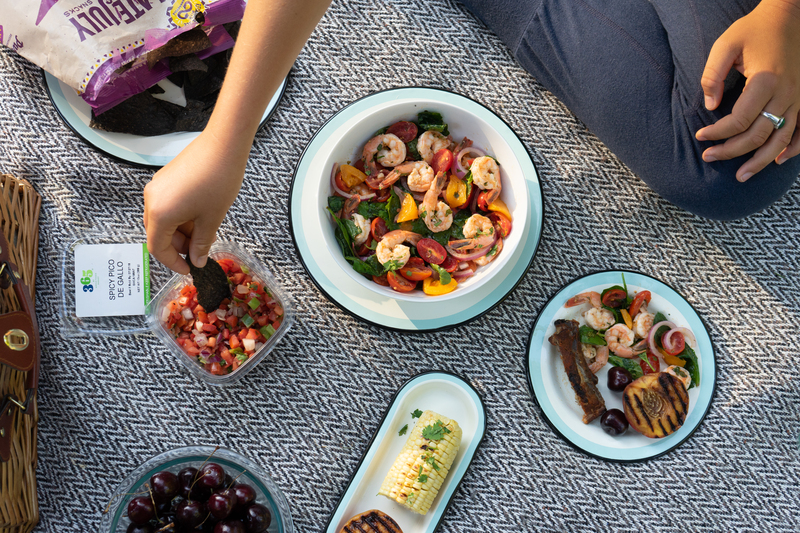 I'm thrilled to show you a few of my picnic staples in partnership with Whole Foods 365, a simpler grocery shopping experience evolved from Whole Foods and their 365 Everyday Value product line. 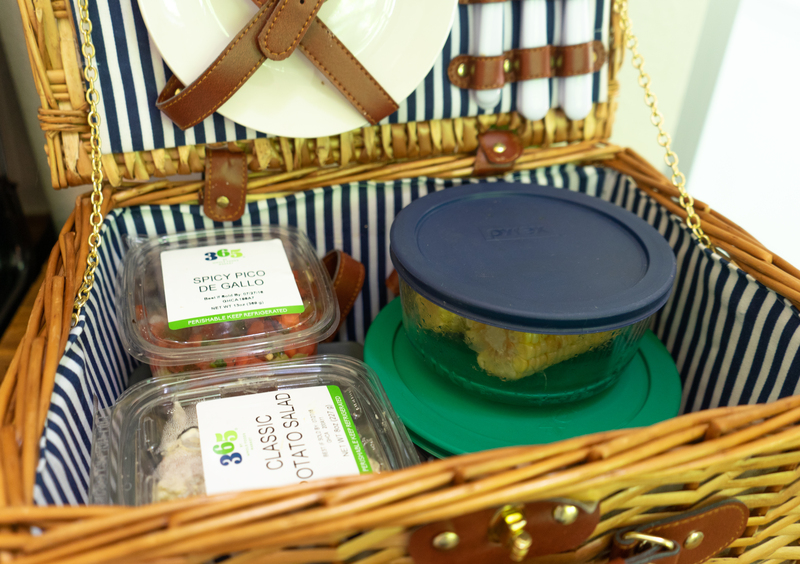 When planning a picnic, I like to bring a variety of foods so that everyone is sure to have an option they love. I don't want to spend a ton of time in the kitchen so I typically mix and match my own recipes with a few items from the cold case. My go-to is a fresh salad with in-season produce and protein that can be prepared in advance. I prioritize quality food and stick to a budget so I tend to shop and create my weekly menus based on sale items. Whole Foods 365 has a curated, simplified shopping experience and I picked up everything for our picnic at an affordable price. I'd been having rib-envy after seeing all of the 4th of July spreads on social media, so I also picked up pre-seasoned barbeque baby back ribs, an ear of corn, and pre-pack potato salad to round out the menu. I recently started growing cilantro and was hoping I'd find a way to use it into a recipe. 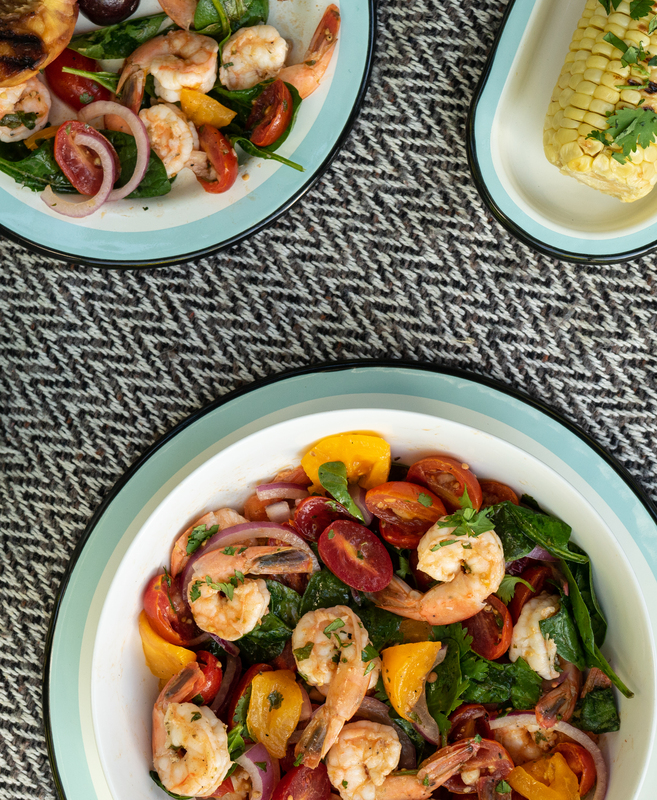 The tomatoes are bursting with flavor right now and shrimp was on sale so I knew I decided to combine cilantro lime shrimp and tomatoes for the main course salad. Start by juicing the lime and mixing with 1/2 tablespoon of oil in a bowl. Chop garlic cilantro, onions, and tomatoes. Toss in the lime and oil, add salt, pepper, or seasoning to taste and set aside. This can be prepared up to a day in advance. In a medium heat skillet, add 1 pound of fresh shrimp. Stir frequently as the color changes from translucent to opaque. Most shrimp will cook completely in 4-5 minutes. Once done, Immediately remove from heat and fold into tomato salad with a few handfuls of baby spinach. This salad can be easily modified in a number of ways depending on what you have on hand to create different flavors. I chose cilantro because it's what I had on hand, but you could add olives, oregano, and feta cheese for a Greek flavor or Italian with basil, mozzarella, and olive oil.